​As Canada phases out nicotine-based pesticides, a new study has found that a popular alternative might also be dangerous for bees. As Canada phases out nicotine-based pesticides, a new study has found that a popular alternative might also be dangerous for bees. Health Canada announced Wednesday that it is phasing out the use of neonicotinoid pesticides, which scientists say weaken bees by making them more susceptible to disease and bad weather. 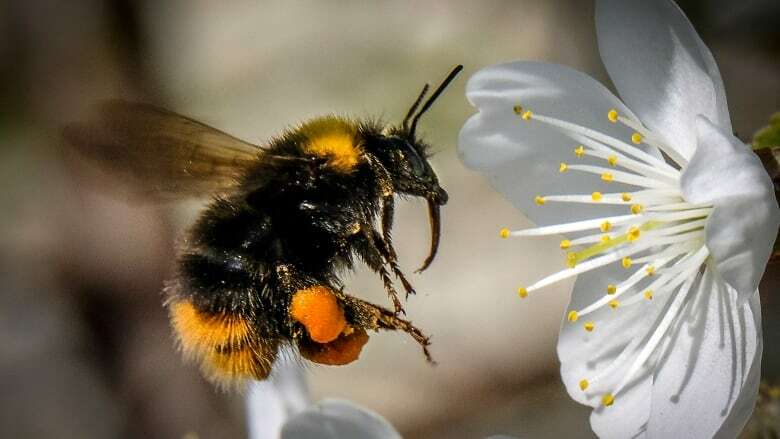 But a new study found that exposure to sulfoxaflor — an alternative to neonicotinoids that's been approved for use in Canada — also threatens bee populations by reducing the size of their colonies. The study by researchers at Royal Holloway, University of London was published in the journal Nature. "What we really want to avoid is a repeat of the cycle of neonicotinoid use," biologist Elli Leadbeater, one of the researchers behind the study, told As It Happens guest host Matt Galloway. "There's good evidence that [neonicotinoids] have a negative effects for bees and we don't want to see that happening again." The researchers observed two groups of bumblebees in London over the course of their life cycle. 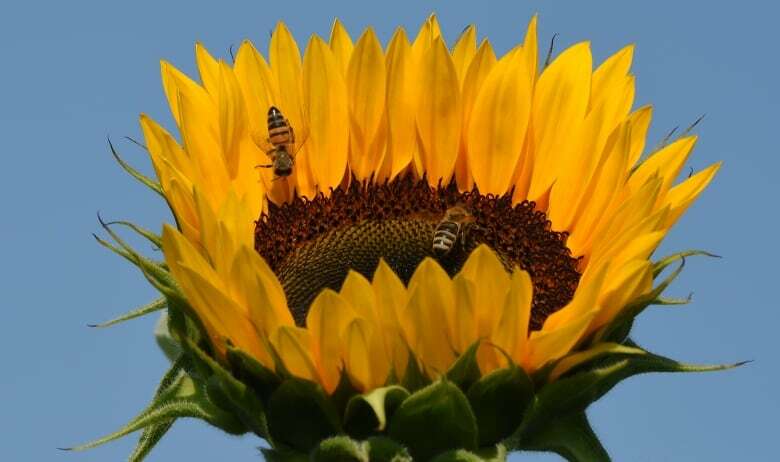 The bees that were exposed to sulfoxaflor saw a 54 per cent reduction in the number of offspring produced. "What we found was actually quite similar to neonicotinoids, and that's not that surprising in that the two pesticides function in a similar way," Leadbeater said. In Canada, sulfoxaflor has been on the market for two years. It is trademarked as Isoclast and sold by AgriGroSciences under the brand name Closer. In 2016, Canada approved its use in seed treatment to control flea beetles on oilseeds. In 2018, it was approved for use on corn and sorghum. Health Canada said it is aware of the study and is "reviewing it to determine whether further action is required." "If the study shows unacceptable risks to bees, Health Canada will take the appropriate action to mitigate the risk," the agency said in an emailed statement. AgriGroSciences did not respond to As It Happens' request for comment. In its 2016 decision, Health Canada concluded the risk to bees from sulfoxaflor-treated plants was "considered to be negligible." "Sulfoxaflor is toxic to bees; however, based on residue studies in canola flowers, exposure to bees through treated seed is not a concern. Transformation products of sulfoxaflor are persistent in the environment but are not toxic to bees," the decision reads. "Therefore, when used according to label directions as a seed treatment, risk to bees is not a concern." It's not clear how widely sulfoxaflor products are used in Canada. While sulfoxaflor hasn't been explicitly touted as bee-friendly, Leadbetter says it's been popping up all over the world in recent years as neonicotinoids fall out of favour. Bee colony collapses began occurring in substantial numbers about 15 years ago and several studies have linked those deaths to mites and neonicotinoids​. Health Canada's Pest Management Regulatory Agency announced Thursday that Canada is phasing out the use of two neonicotinoid pesticides — clothianidin and thiamethoxam — in the next three to five years. This follows a similar ban by the European Union that takes effect at the end of the year. Sulfoxaflor is currently licensed for use in 47 countries, and is under review for licensing in the U.K.​, the researchers say. Leadbeater said farmers and governments may be gravitating toward sulfoxamine-based products not because they are considered safe, but rather because not much is known about them. She said much more research is needed to really understand their effects on bees in the wild. "It hasn't really received so much press, so much attention and it hasn't been around so long," she said. "With neonicotinoids, because they've been around so long, there has been the potential for a lot of studies into their effect, whereas that's not necessarily been the case for sulfoxaflor." Written by Sheena Goodyear with files from CBC News. Interview with Elli Leadbeater produced by Ashley Mak.